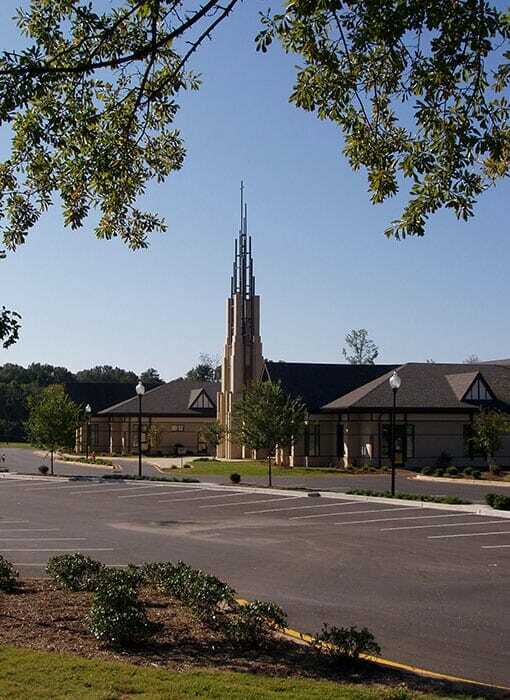 Clemson United Methodist Church, having outgrown their confined downtown campus, relocated to a new 22-acre site adjacent to expanding residential development in Clemson, South Carolina. 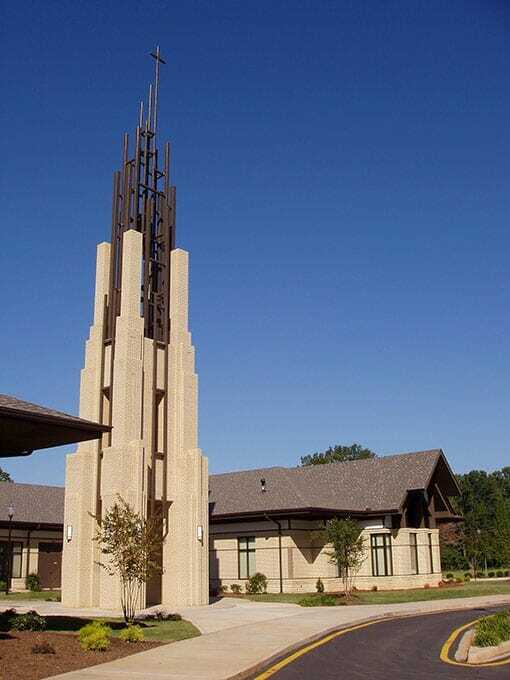 The new site offered the opportunity for a multi-phased expansion beginning with a new phase one sanctuary/fellowship hall, education facilities, and a freestanding tower that acts as a beacon for this new location. Future phases include a final phase sanctuary, additional education, and daycare facilities and a parish hall/gymnasium. A soccer field, network of nature walks, a Boy Scout hut and amphitheater capitalize on the natural terrain. The densely wooded portions of the site are maintained and become an integral part of the overall master plan design.